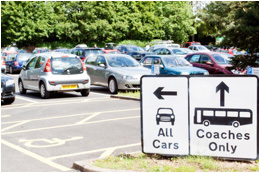 St Nicholas Car Park is incredibly convenient for both Warwick town centre and St Nicholas Park itself. Additional parking available at Myton Fields. Every park needs a playground - and at St Nicholas Park there's a whole world of adventure! 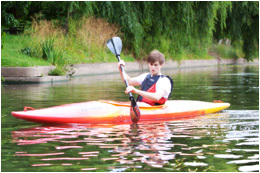 Warwick Boats has a fantastic range of boats for hire and sale, so that you can get a great day out whether you're and experienced kayaker, beginner in the canoe or want to take a pedalo for a ride. 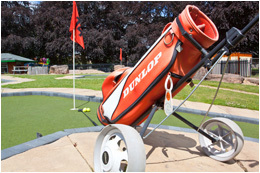 All new Adventure Mini-Golf is just opposite the Fun Park, and guarantees 18 holes of fun! With a great range of rides and games from water shooters to the classic Teacup ride, the Fun Park has something for everyone! For opening times please see the time table on the bottom of the fun park page. Remember to bring swimming costumes when you come to St Nicholas Park and let your kids make a splash! The view of Warwick Castle from the river is breathtaking, and really gives you a feel for the size and grandeur of this magnificent structure. 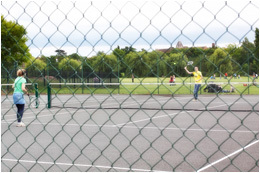 St Nicholas Park Leisure Centre offers a huge range of sports and activities both indoors and outdoors. 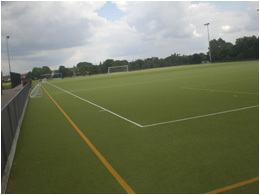 St Nicholas Park has great floodlit Astroturf pitch's which can be booked through the leisure centre. Call 01926 495353. 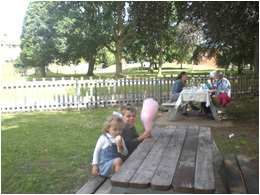 Why not pack yourself a picnic - and make the most of our picnic area! 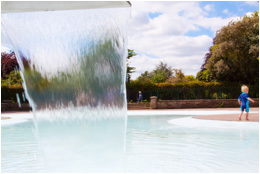 Need some peace and quiet, then take a stroll through the beautiful gardens of St Nicholas Park and soak up the scenery with Warwick Castle in the background. 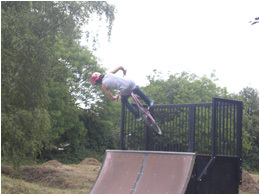 For you skateboarder there is a skate park that includes an half pipe and a dirt track for you BMX riders. With kids' play areas, Adventure Mini-Golf, sport, swimming and boat rides, St Nicholas Park really has something for everyone. On top of the playground and outdoor paddling pool, St Nicholas Park has its very own Fun Park complete with rides, games and amusements! 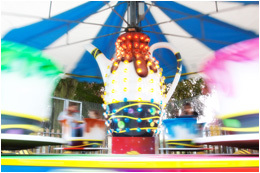 Race round on the Orbital Cars, take a whirl on the Teacups or a ride on the Funland Express - it's guaranteed to make the whole family smile! 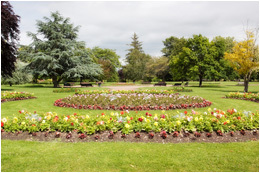 St Nicholas Park is a truly beautiful setting, and is perfect for picnics or simply a lovely walk. 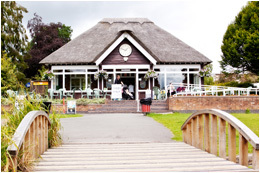 The lawns and gardens are ideal for a stroll or a sit down, and there are designated picnic areas as well as a tea shop serving snacks, meals and drinks. The fantastic 18 hole Mini-Golf Course is a fun challenge for people of any age, as is the Boating Centre, with a range of different boats from pedaloes and rowboats to kayaks and canoes. If you're looking for entertainment off the water, there's also a Skate Park, perfect for your skateboard or BMX. 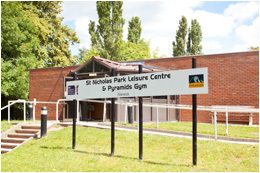 The St Nicholas Park Leisure Centre has a huge range of facilities, from an indoor swimming pool to badminton courts, a climbing wall and tennis courts. The Measured Mile Route is also great for a little exercise, this path round the park is exactly 1 mile long, perfect for keeping fit whether you're jogging, cycling or having a stroll. 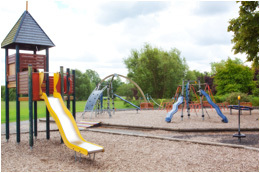 With nearby parking, public toilets and baby changing facilities, and situated in the heart of Warwick, St Nicholas Park is a fantastic day out for the whole family.